Our product range includes a wide range of diet lemon ginger drink, diet lemon ice tea and diet watermelon drink. 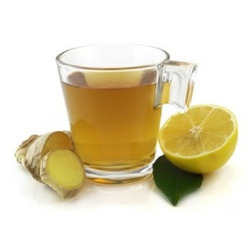 With years of experience and knowledge in this domain, we are engaged in offering Diet Lemon Ginger Drink that can also be used as an adhesion batter. The product offered by us is used to coat vegetables/meat/finger food etc. The offered products are processed and packed at our hygienic and clean infrastructural facility to preserve their purity and longer shelf life. Apart from this, we offer entire range in a variety of packaging options to suit client’s specific requirements at affordable prices. Description: Tempura Batter Premix is used to coat vegetables/meat/finger food etc. It can also be used as an adhesion batter. Ingredients: Refined Wheat flour, Salt, Malto Dextrin, Raising Agent [E 500 (ii)], Black Pepper, Anti-Caking Agent (E 551). Applications & Recommended Usage: Tempura Batter: 1] Add 25 gms. of tempura batter premix to 37.5 ml. of chilled water. 2] Coat vegetables/meat/patties with product & tempura batter. 3] Fry at 180° in vegetable oil for best results. Fry at 180° in vegetable oil for best results. 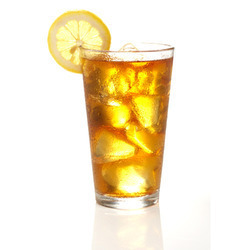 We are the famous manufacturer, exporter, wholesaler and supplier of high-quality Diet Lemon Ice Tea. This product is made up of ingredients like Malto Dextrin, Dextrose, Tea Extract, Acidity Regulators (e 330, E 331, 334), Vit C (e 300), Sucralose (e 955),(anti-Caking Agent ( E 551). Our offered range is processed and packaged under, extreme hygienic conditions to maintain its natural taste for the long duration. Recommended Usage ice Tea: Add 9 Gms. To 100 Ml. Of Chilled Water. If Ice Is Added Reduce Water Accordingly. 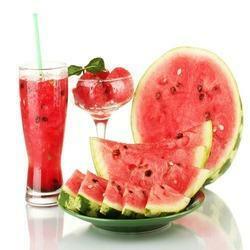 We hold expertise in offering Diet Watermelon Drink. The offered product offers a refreshing Watermelon profile. Our food experts only use best ingredients like Malto Dextrine, Dextrose, Sucralose (E 955), Emulsifier (E 466), (Anti Caking Agent (E 551) for making this product. This diet lemon ice tea premix contains sucralose. Apart from this, clients can avail offered crunch from us at market leading prices. Looking for Diet Beverage Drink ?